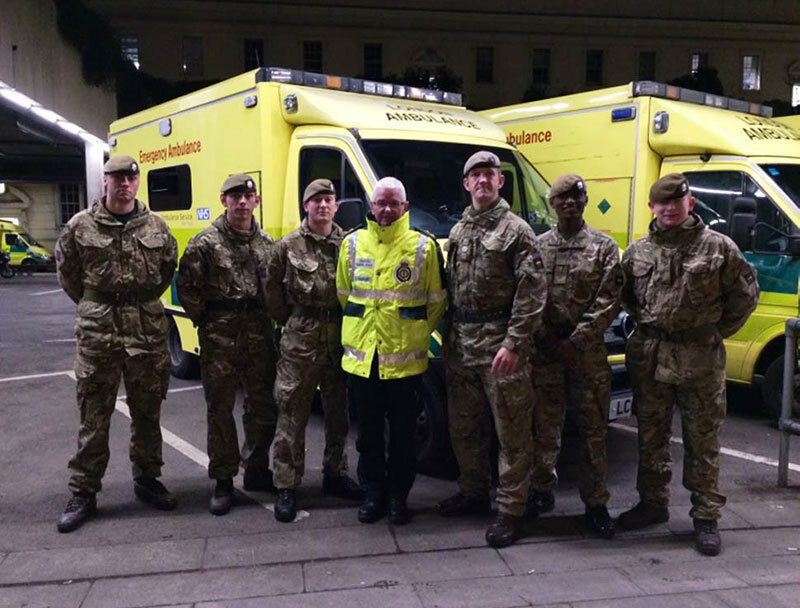 As part of the London District task to provide Military Aid to the Civil Authorities (MACA) F Company was directed to organise the training of 1418 military personnel in Wellington Barracks over five days in late January in order to cover the NHS Industrial Action (IA). This was due to be followed by coordinating the delivery of eighty crewed ambulances to North-West London during the IA. Fortunately the strike was called off, but not before 1180 personnel had been trained. During the first Queen’s Guard of 2015 the Guardsmen of the St James’s Palace detachment were very pleased to get a visit from a Bond Girl! Miss Olga Kurylenko (Quantum of Solace) is dating Mr Max Benitz (author, Six Months Without Sundays: The Scots Guards in Afghanistan) and she was his guest at the Queen’s Guard Officers’ Mess on the 2nd January. Both the Battalion Football and Rugby teams continue to represent the Regiment well. The football team has continued its impressive unbeaten run, but unfortunately the rugby team were defeated on its trip over to Northern Ireland to play 1 SCOTS. Hopes remain high that both sides will continue to progress to the next round of their respective cups however. 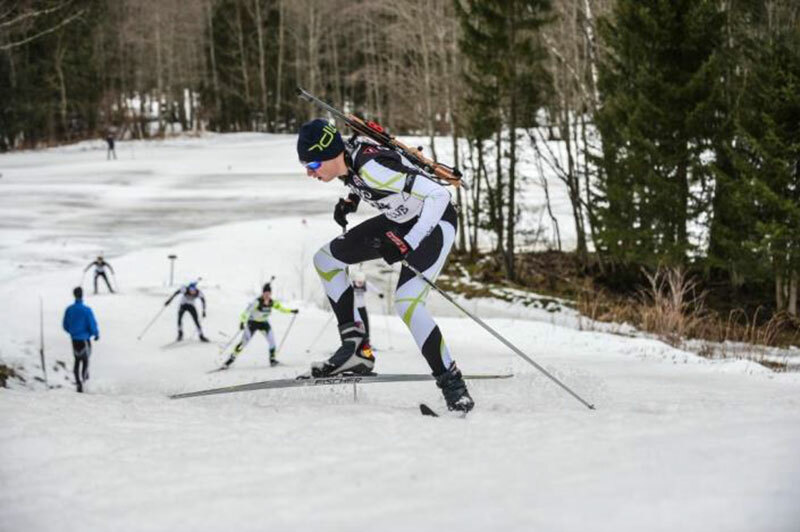 Guardsmen Forest and Dunn accompanied the 1st Battalion team during the Infantry Biathlon Training Camp and Championships in Bessans, France, in December. They were placed 3rd Overall Novice and 3rd Junior Novice respectively. The team also managed to get out into the hills on the last day. With the outgoing Company Commander, Major Charlie Turner, starting at the Royal Military College Shrivenham on the 5th January, Captain Malcolm Dalzel-Job has been standing in until the next Company Commander arrives. In his twelve months in Command Major Turner has pushed the Company hard, enthused the next generation of Scots Guardsmen and left a legacy and momentum within F Company that will endure for years. The Battalion has also had great success on the snow this season. 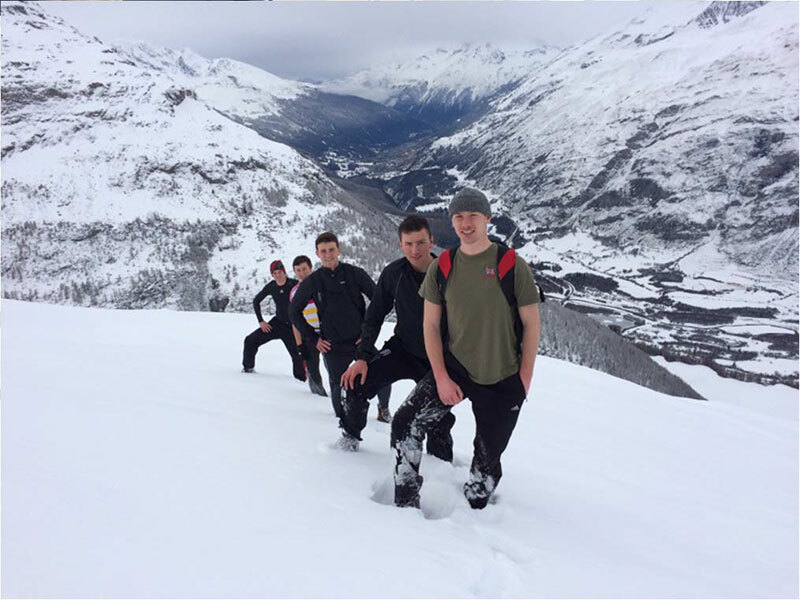 Not only was the Battalion annual ski camp to Val D’Isere a great success under the stewardship of Capt Charlie Craven, but both the alpine and Nordic ski teams achieved great success in their respective competitions. Lt Magnus Arbuthnott managed to progress through to the Army Ski Championships after impressive individual and team performances on Ex FROSTED BLADE (the infantry ski championship) under Capt Chris Connolly; while Capt Alex Jackson’s Nordic team greatly improved on the previous year’s performance as third best infantry team in this year’s championship not to mention a host of individual commendations. 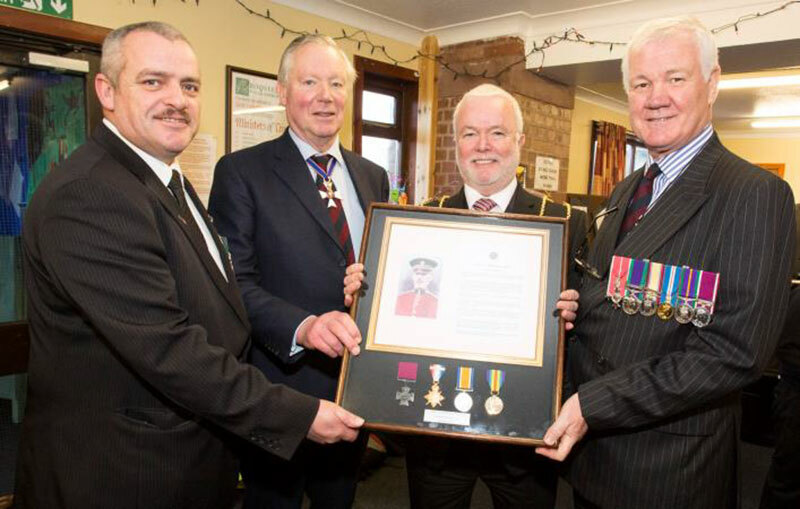 With the successful completion of Ex WESSEX STORM in November of last year and the festive celebrations a distant memory; the Battalion returned to barracks in the beginning of January at readiness to be deployed as part of the Vanguard Armed Infantry Brigade. Throughout 2015 elements of the Battalion will be held at notice to move to deploy where ever they are needed while simultaneously completing refresher training to maintain the high level of training achieved at the end of 2014. Leave came early in December for F Company in order that the Company could provide the Queen’s Guards immediately either side of Hogmanay. 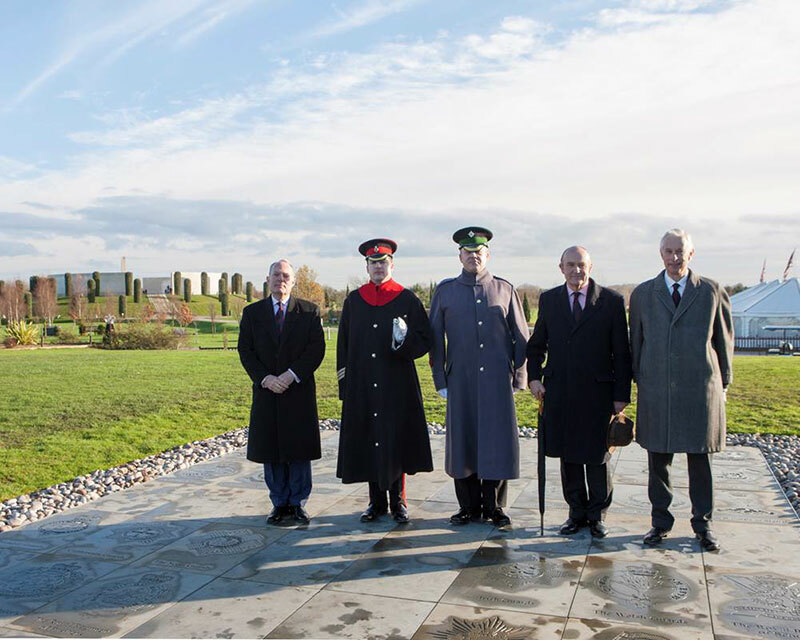 This meant, for most, their first New Year celebrations held in London, but not before 6 Platoon had a day out in London, which included a trip to the newly refurbished Imperial War Museum. During leave, as part of the wider, long-term Regimental Naval affiliation, the Company Second-in-Command went aboard HMS DUNCAN for 36 hours during her pre-deployment live firing week. 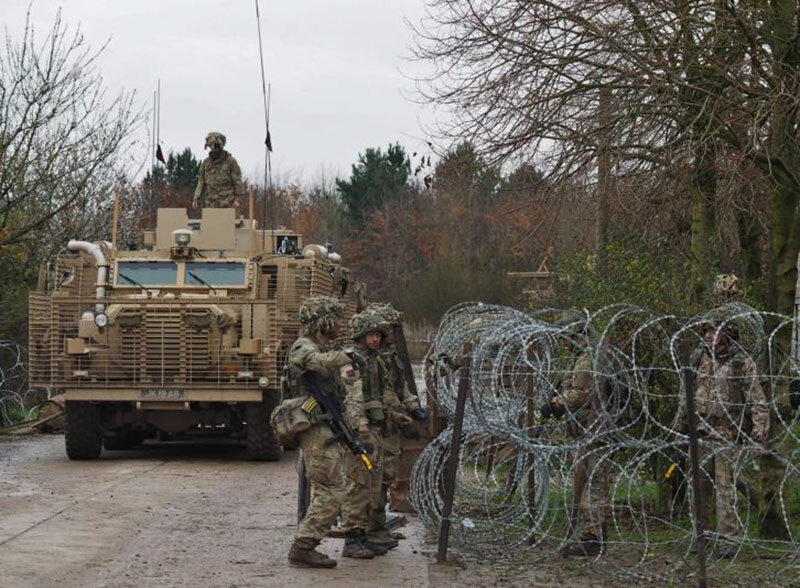 As well as a Basic Radio User course – to allow the Guardsmen to be upgraded – and the detachment of a ten-man team to assist with the Search Evade Resist Escape (SERE) Course on Dartmoor, the Company spent a week in Pirbright conducting what is now the thrice-yearly battle camp, achieving Annual Combat Marksmanship Test (ACMT) passes. Two of HMS DUNCAN’s complement joined F Company for 36 hours of this battle camp. 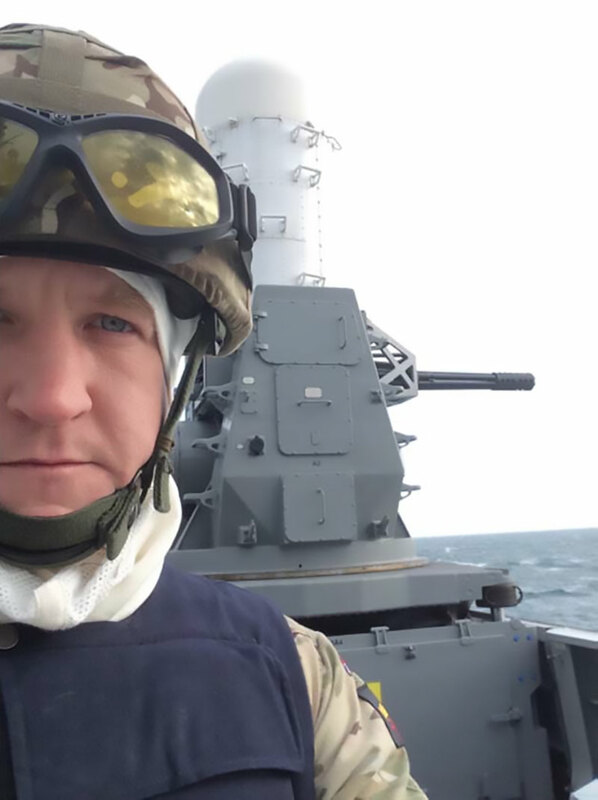 Captain Dalzel-Job waiting for the Phalanx Close-In Weapon System (CIWS) to fire aboard HMS Duncan. The festive season provided the usual opportunity for one and all to relax after what had been an exceedingly demanding Ex WESSEX STORM. 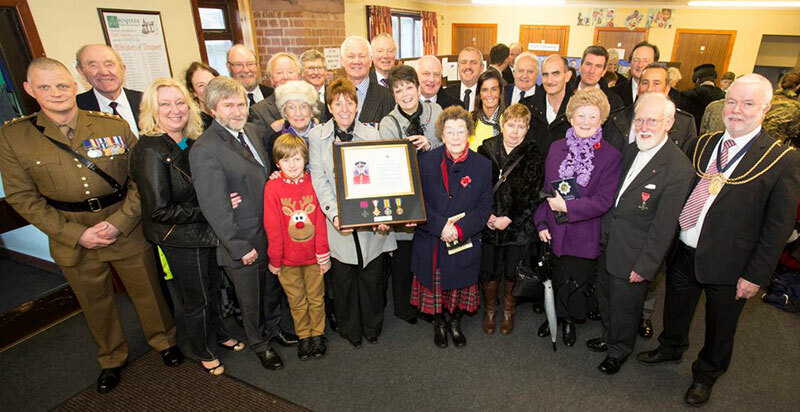 With the lack of sleep and bitter cold of Otterburn behind us, the Battalion’s attention turned to the carol service and Christmas lunch which were both great successes. On the rugby field, the Officers’ Mess we able to field an uncharacteristically strong side and took home the spoils in what was a highly enjoyable and largely injury free match against the Sergeants’ Mess. The football team has continued its impressive unbeaten run, but unfortunately the rugby team were defeated on its trip over to Northern Ireland to play 1 SCOTS. Hopes remain high that both sides will continue to progress to the next round of their respective cups however.